The Awesome Oscillator D is a modified version of Awesome Oscillator. Awesome Oscillator or AO is one of Bill Williams indicators and is a momentum measurement tool ussing two Simple Moving Averages of 34 and 5 periods. 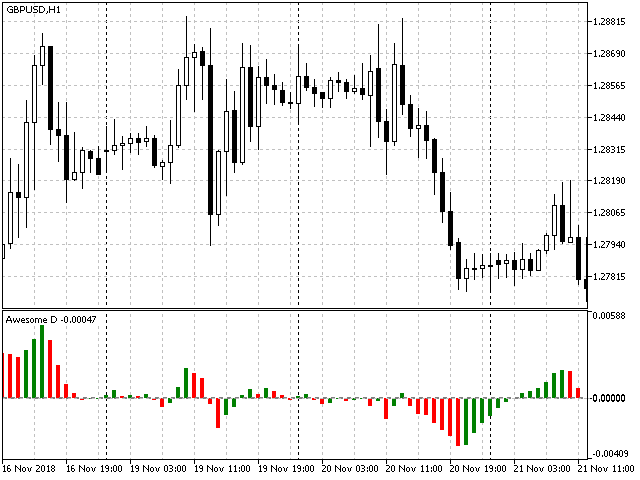 AO is a powerful indicator to reveal trend changes or to predict trend reversals. Awesome Oscillator D or AOD calculates AO by DEMA instead of SMA and has better sensitivity and accuracy. 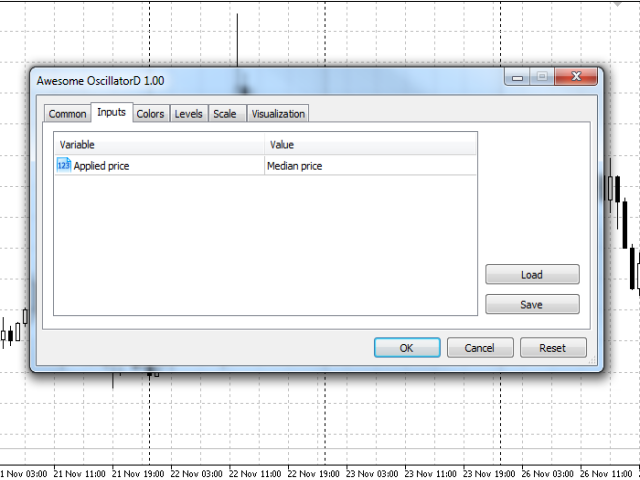 AOD has the same input parameter as AO, the applied price.